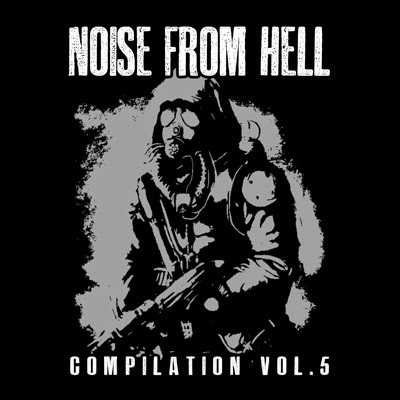 NOISE FROM HELL COMPILATION VOL.5 featuring ADHARMA (Ukraine), BACK FOR REVENGE (Malaysia), BUTANNA (USA), CORDELL (Australia), DISEASE (Macedonia), DISSEKERAD (Sweden), GASMIASMA (USA), GODA DURJANA (Malaysia), GODWILLDIE (Puerto Rico), HUMUS (Italy), KADAVERFICKER (Germany), KAKAFONI (Sweden/USA), MAKABERT FYND (Sweden), MORTADO (Colombia), NAPALM A.D. (Sweden), ODIOSO DIOS (Argentina), PEREK KASI GEREK (Malaysia), PSYCHOTIC SUFFERANCE (Malaysia), SLANDER (Italy), SUFFER THE PAIN (Sweden), THREAT BEGINS (Indonesia), UNHOLY SMOKERS (Malaysia) and YACØPSÆ (Germany). 21. Perek Kasi Gerek - Smash Your Dogmatic Tragic-Vision (TV)!